Mereway Badminton Club was first formed in 1976. Since then it has provided a great many people in Northampton with an organised and friendly club at which to enjoy the exciting sport of Badminton. Having originally started out at Mereway school, over the years we have played at a number of locations in Northampton and now consider ourselves very fortunate to have use of the excellent new facilities at the Wooldale Centre for Learning (Caroline Chisholm School), in Wootton, Northampton, not so far from our original home. We play on Friday evenings, between 7pm and 10pm and are very happy to welcome players of all ages. Whether you are an experienced player looking for more playing opportunities, or a player who has recently moved to the Northampton area, or perhaps someone returning to the game after a break, if you’re looking for somewhere to play Badminton in Northampton we would love to hear from you. Some of our teams are primarily results oriented, and some are run with the objective of offering the opportunity of competitive match play to as many different members as possible, so if you are looking for competitive play in Northampton we are sure to have something for you. You can read about some of our recent team results on our News pages. September 2013 marks the return of our ladies team to the line-up, so if you are a woman looking to play competitively in Northampton please get in touch. 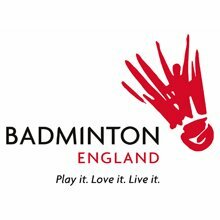 We are fully affiliated with Badminton England, the official governing body for the sport in England, and have attained Premier Club status. Because we are fully affiliated our members can enjoy a number of benefits, including insurance cover whilst playing and special discounts on equipment and event tickets. Many of our members have enjoyed free tickets to world class Badminton events including the All England Championships in 2012 and 2013 – you can read a report of one visit here. We also have a thriving Junior section run by qualified coaches, which provides playing and coaching opportunities for 8-17 year olds in Northampton. At least once a year we run a senior / junior tournament as part of our development programme for the young players who represent the future of our club. If you are interested in playing badminton in Northampton, you are more than welcome to give us a try by coming along on any Friday night and playing as a visitor, or for more information send us a message through our contact page.